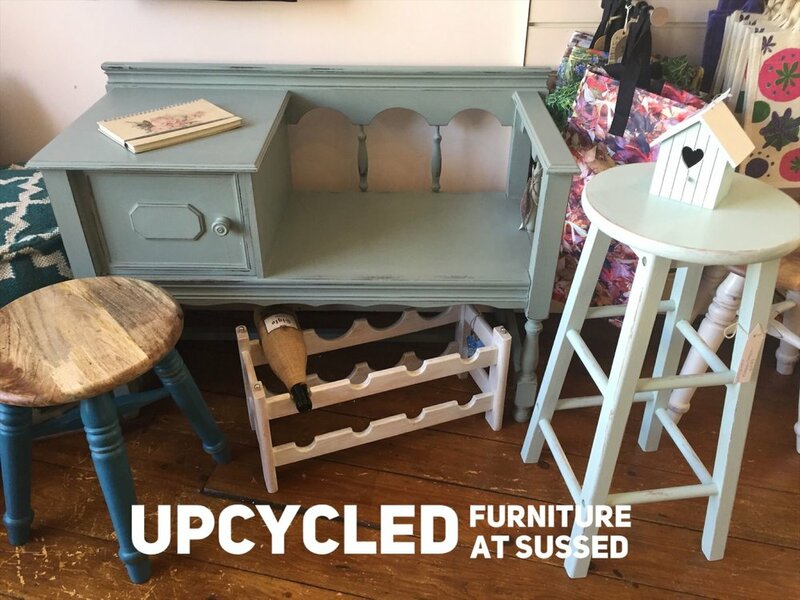 We stock a range of distinctive furniture that's either hand made or locally up-cycled. In either case it's always unique and stylish. To keep things varied, we also have some smaller items from Namaste, typically hand painted or hand made from ethically sourced materials. Sourced locally in South Wales and from around the world. We have an ever changing range of items coming into the shop throughout the year. Do you make new or up-cycled items? Do you need an outlet for your work? - please get in touch!